Wow Your Friends with the #1 selling basketball jersey case in the world. 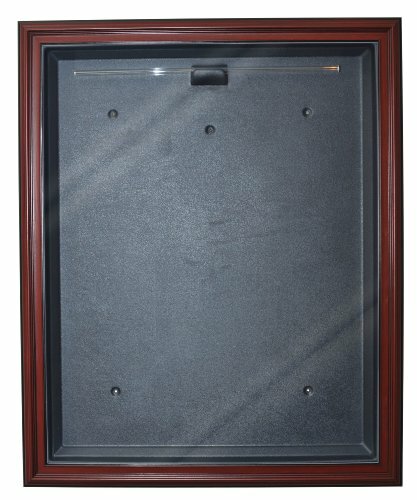 The easy, open-and-close, cabinet style, Mahogany genuine wood framed case with a Museum Quality UV Upgrade enhances the presentation of your collectible jersey. Without a doubt, the finest display case in sports. Measures 42"H X 34 1/4"W X 3"D. Jersey not included. Made in USA. If you have any questions about this product by Caseworks, contact us by completing and submitting the form below. If you are looking for a specif part number, please include it with your message.